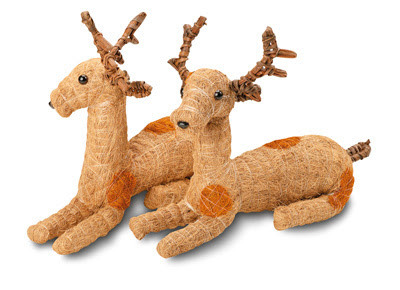 clog: Fair Trade makes a deer present. Fair Trade makes a deer present. There is a lot of talk this season about buying local and buying artist-made and whilst we couldn’t agree more, there is one more option for making your mark whilst shopping this Christmas season. Oxfam has an amazing Christmas Catalogue, full of fair-trade hand-crafted goods from all over the world. By purchasing your gift here, you are also giving an invaluable gift to those in developing communities who are utilizing their handicraft skills to support their families,whilst helping build their communities. With all products hand-made or hand-produced with a fair percetage of the proceeds going to the makers themselves, there’s no denying it… it’s a win/win situation.